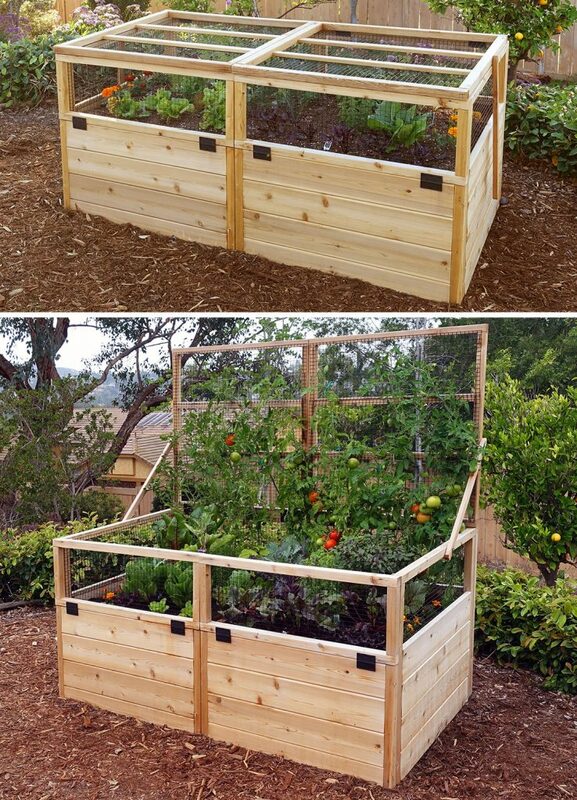 What a clever garden – the lid doubles as a trellis! 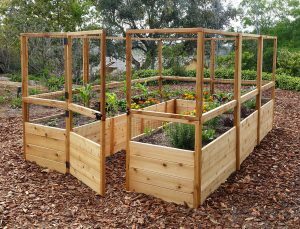 Also, the hinged front panels can fold down for easy access to the plants and soil. 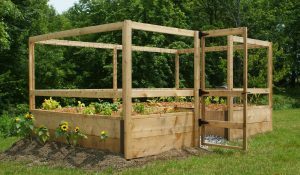 Our 3’x6′ Convertible Raised Garden Bed is a cedar fenced garden bed that has a lid which doubles as a trellis. 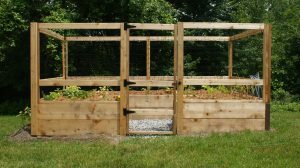 When the plants are small, the lid will protect them from critters and allow the seedlings to grow. Removable greenhouse panels are available (optional additional item) to protect the plants from frost. 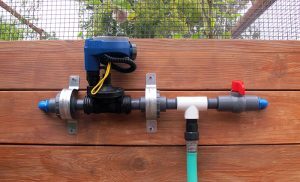 Once the plants mature, the lid can be opened to serve as a trellis. 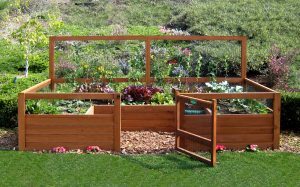 Like our other 3’x6′ garden kits, the front fencing panels fold down for convenient access to the plants and soil. 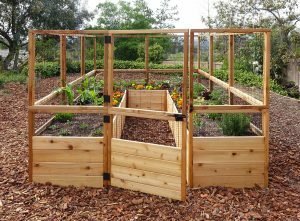 In the upright position, 5'11 high trellis is ideal for vining plants such as peas and beans.